I went through my mom's pictures and found some from before I was born, when bell bottom jeans were a staple in every outfit. I pulled these out and remembered just how comfortable they were and what a nice silhouette they provide. 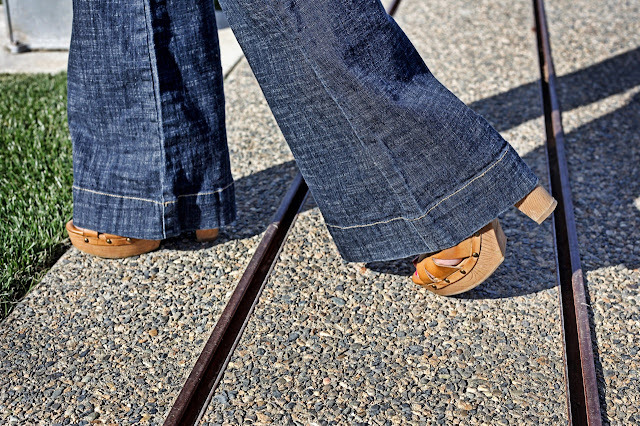 Love the flares! I always love it when they go over the shoe. Great pics! Thank you Victoria and featherfactor!